Polls indicate a close contest to replace retiring Republican Sen. Bob Corker in the general election. NASHVILLE, Tenn. — Former Democratic Gov. Phil Bredesen and Republican U.S. Rep. Marsha Blackburn have been running their campaigns for a critical U.S. Senate seat from Tennessee like their matchup was assured. Bredesen and Blackburn disposed of minimal opposition in their primary elections, kicking off what's expected to be a bruising, expensive fight that could determine Democrats' chances of overturning the Republicans' 51-49 Senate majority. 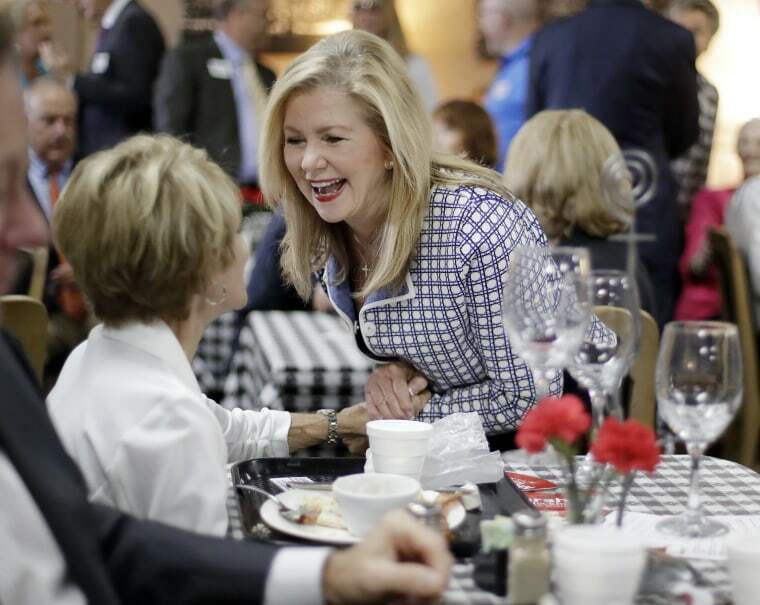 A general election win would be historic for Blackburn, who would become the first female U.S. senator elected in Tennessee. Former Nashville Mayor Karl Dean won the Democratic primary, defeating state House Minority Leader Craig Fitzhugh after outspending him by $4.4 million to $984,800. Four Republicans remained in the mix for their party's nomination: U.S. Rep. Diane Black, former state economic development commissioner Randy Boyd, businessman Bill Lee and state House Speaker Beth Harwell. They all embraced President Donald Trump's agenda, with Black securing the endorsement of Vice President Mike Pence. Bredesen, who remains popular, is pledging to work across party lines, saying he would support Trump on policies that are good for the state and oppose him when they aren't. Bredesen was the last Democrat to win statewide in Tennessee, where he clinched all 95 counties in his 2006 re-election as governor. He would again need to peel off support from moderate Republicans and independents in the red state. For Tennessee Democrats, it's been an even longer drought in the Senate. The last to win was former Vice President Al Gore in 1990. Blackburn has billed herself as a "hard-core, card-carrying Tennessee conservative" from the outset of her campaign. She has benefited from center-stage appearances alongside Trump and Pence in public events and fundraisers in Tennessee. Pence and Trump have already attacked Bredesen, saying he's too liberal for Tennessee and would fall in line with Democratic Minority Leader Chuck Schumer of New York. Bredesen has countered that his record as governor shows he's an independent thinker who wouldn't cave in to party leaders. Bredesen has separated himself from Trump on several policies, most notably on tariffs, which threaten an estimated $1.4 billion in Tennessee exports, according to the U.S. Chamber of Commerce, a longtime Republican ally. Blackburn has carefully tried to distance herself from the White House on tariffs amid a heightening trade war. She asked the commerce secretary to reconsider broad tariffs to avoid harm to Tennessee's economy. Heading into July, Blackburn maintained an early 2-to-1 cash advantage over Bredesen, with $7.3 million in her bank account. But Bredesen, who would be one of the wealthiest members of Congress if elected, has already lent $3.5 million of his own money to his campaign.